No matter how left-brain dominant your customer is, studies show his emotions rule over logic when it comes to purchasing your medical or technology product for his organization. And, emotional impact tends to increase–not decrease–with product and purchase complexity. Physicians, engineers, lab managers—even Value Added Committee members—are human beings with emotion. That’s why we build brands and produce B2H communications that appeal to both emotional and business drivers. We market to the whole customer. The whole brain. Research and richly dimensioned persona profiles are among our key tools in determining both business and emotional drivers, as well as in uncovering the customers’ natural language. Mapping those drivers to your UVP to differentiate your brand in a way that connects meaningfully with your customer is the alchemy of our positioning strategies. We bring strategy to life with creative. Giving life to a strategy takes a compelling story told in your customers’ natural language. It takes a creative theme that connects with your customer and runs through every expression of your brand, from naming to sales tools. To successfully impart your position and emotionally driven messaging across all communications, we make sure your creative has the depth and the legs to go the distance. Use this customizable persona development tool to help you define your customer and his emotional drivers. 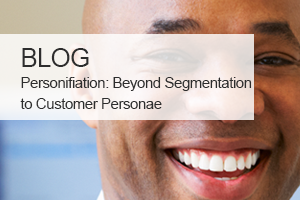 Emotional branding begins with understanding your customer as a persona, not a market segment. Learn key steps to developing a differentiating positioning strategy for your healthcare product.